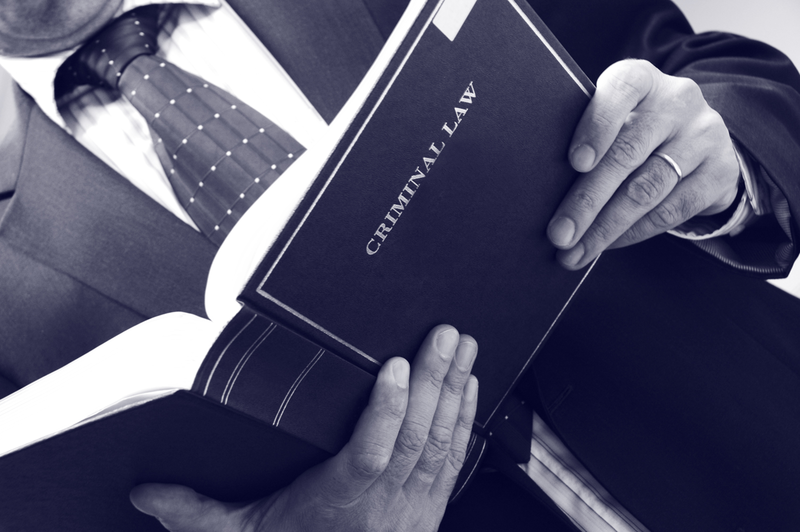 Whether your situation involves medical marijuana, DUI, assault & battery, a probation or parole issue, or any misdemeanor or felony, or whether you are a lawyer who does not practice criminal law, you can learn some basic information that may help you. Civil asset forfeiture is often the result when law enforcement agencies make a large drug bust. Year after year, the amount of assets seized continues to grow by leaps and bounds. These assets have been purchased with money gained from the sale of drugs or received when a crime was committed. This type of property can take many forms including cars, jewelry, houses, boats, watches, cash, virtually anything of value. In many cases, the drug trade of a local jurisdiction is often responsible for a large portion of the funding of law enforcement agencies in the area. This financial support helps to keep failing drug policies and programs in place. 2003 – The DEA (Drug Enforcement Agency) took possession of $458 million in property. Approximately half of the total amount was in actual cash. Once items are seized by the police, they are considered to be forfeited or lost to the owner. All of these assets are sold off with the funds used to support everything from wages to anti-drug programs at all levels. Because this results in beneficial, financial gain for most law enforcement agencies, they often resist any changes to current drug policies. Public support continues to diminish when it comes to how people feel about the illegal drug trade. Where marijuana is concerned, a large majority of Americans would prefer that marijuana be legalized. During every election, more and more areas are including spots on the ballot that call for the decriminalization of pot. Police officers and law enforcement agencies continually put money towards the campaigns of politicians who work to keep marijuana illegal. In 2010, several law enforcement agencies donated large amounts of money to a committee called Public Safety First in attempt to prevent Proposition 19 from being included on the ballot. Proposition 19 called for the legalization, taxation and controlled sale of legalized, recreational marijuana. The following information comes from the National Institute of Money in State Politics and shows how these contributions were divided. Proposition 19 failed in California. In Colorado, however, the same type of legislation, Amendment 64 passed in 2012. This resulted in the legalization of recreational marijuana for limited use. In almost every state where this type of legislation has mad it to the ballot, police and law enforcement agencies have contributed to funds to the opposing forces. The idealogy between marijuana use and the opposition of law enforcement agencies signifies the real threat that pot poses to the law enforcement's financial stability. The DEA brought in over $32 million in property and cash solely for marijuana in 2012. Laws that govern civil asset forfeiture are different in each state. There are a few states that prohibit agencies from profiting from assets that are seized. Several states permit agencies from profiting, but have to show a high burden of proof. North Carolina requires that the state receive a conviction before any assets can be sold. There is a legal loophole that allows law enforcement agencies to bypass much of this. It is referred to as equitable sharing. When local law enforcement agencies join together with federal agencies like the DEA, all of the agencies are required to share the wealth and divide the assets. When federal agencies are involved, this is acceptable, even if it is against the law at a state level. Federal law requires a much lower burden of proof than state law enforcement agencies. Probably cause is required for seizure, while preponderance of cause is required for forfeiture. When agencies work together, the equitable sharing loophole makes it more profitable for everyone involved. Even though law enforcement agencies in Ohio are not permitted to profit from civil asset forfeitures, they use the equitable sharing loophole to receive monetary gain. Law enforcement agencies have received over $1.7 million in addition to vehicles. The assets were liquidated and added to state budgets. Property owners have very little rights when it comes to this type of property seizure. It doesn't matter if the seizure was justified or not, they can lose their property even if they did nothing wrong. Federal law, in addition to some state laws, does not require a conviction to initially seize or liquidate property. The FAIR Act, or Fifth Amendment Restoration and Integrity Act was recently introduced by Rand Paul, the Republican Senator from Kentucky. This legislation would eventually correct many of the issues involved with the federal civil asset forfeiture law. He claims that law enforcement agencies not associated with federal agencies would have follow state law when it came to giving up seized property. With this legislation, the equitable sharing loophole would no longer exist. Another Congressman, Michigan's Tim Walberg also drafted a similar piece of legislation. Law enforcement agencies are expected to do what they can to prevent the legislation from passing. Police departments are not the only government agencies that profit from property seized during drug raids. “Policing for Profit” is a report that goes into detail about how prosecutor's offices and other city offices can share profits gained through this type of property seizure. Law enforcement agencies have helped politicians create a war on drugs that has grown out of control. The war itself relies directly on the exact trade it is designed to eradicate. Officers are employed by drug task forces on a full time basis. During their time on the job, they use an abundance of resources that are often paid for by the sale of the very drugs they take off the street. The money also goes to make sure salaries are paid and equipment is purchased. The entire process is extremely expensive and only works to continually perpetuate the cycle. If you have had assets seized by local law enforcement or federal agencies, contact our law office today. 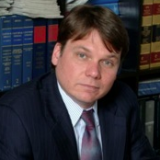 Jacek W. Lents specializes in Civil Asset Forfeiture and offers all new clients a free consultation. Call our office today at 888-536-8948 to get answers to all of your questions. A neighbor of mine Bill got pulled over the other night. He received a simple traffic citation for speeding but no big deal as he was not under the influence of alcohol or anything else. Yet, somehow the topic of his medical marijuana recommendation and use came up. Bill had a little amount of marijuana with him as he had just made a purchase at a local dispensary and the policeman asked him whether Bill had a physician’s recommendation and what he was using marijuana for. Without suspecting anything, Bill replied, “Anxiety.” He then drove off without any comment from the cop. No problem, right? Wrong. A few days later Bill received from the Department of Motor Vehicles (DMV) Driver Safety Division a Notice for a Hearing and Re-examination. In a nutshell, the DMV threatened Bill with the suspension of his California driver’s license unless he completes a comprehensive medical examination by a physician (at his own cost of course) and then subjects himself to various probing questions at a DMV hearing. It turns out that the cop forwarded to the DMV what is euphemistically called a “referral” which means that he flagged Bill as a driver who might have a physical or mental condition that might impair his driving. According to the DMV hearing officer with whom I spoke about this matter, the DMV automatically issues a Hearing/Reexamination Notice whenever a physician or a cop gives them heads up that someone might have an impairing condition. No issue of course if a “referral” comes from a physician, but some stupid cop? What possible training and qualifications do cops have that render them competent and entitled to make critical decisions about whether someone has a physical or mental condition that might impact their driving? Absolutely none, in my view, unless the cop has witnessed a collision or something similar that was proof of impairment. To give the cops the power authority and power to refer drivers to DMV simply because they admit to having something prescribed for anxiety is absurd. Allowing cops to issue automatic referrals triggering mandatory medical examinations, hearings and threats of license suspension simply gives the police and the DMV too much power. It gives them nothing but a ruse to wage their war on marijuana and to discriminate against medical marijuana patients. Bill’s case absolutely and positively proves the point that giving the cops such power more often than not will lead to abuse and discrimination against marijuana users. He was threatened with a loss of a drivers license simply because he smokes marijuana for anxiety? If this were the case, we would be seeing many situations where the cops inquire and then issue referrals for masses of drivers currently on one or more of the ubiquitous anti-depressants and anti-anxiety drugs such as Prozac, Paxil, Lithium, Zoloft, Celexa, Lexapro, Luvox, Wellbutrin . . . Yet, nothing of the sort is happening. It is medical marijuana that is exclusively targeted. The police know that they are on the losing end of the war on drugs, especially with regard to what is the imminent decriminalization and/or full legalization of marijuana for both medical and recreational purposes. They are extremely frustrated as they watch helplessly as their bankrupt war-on-drugs-at-any-cost ideology and corrupt practices take a pounding at the hands of public opinion across the country. In California, the cops have very few tools left at their disposal to threaten and harass marijuana users. They have virtually lost their war against individual marijuana users as legalization for medical use prevents them from arresting or often even citing smokers who have had the wherewithal and initiative to get a medical marijuana recommendation or a state or county issued medical marijuana card. They are also slowly but surely losing their war on dispensaries as the law moves in the inevitable direction in giving dispensaries increased protection on the local, state and even on the federal level. Out of frustration the police are gradually reduced to pathetic tactics. The most common is the practice of automatically arresting and charging anyone who drives with any amount of marijuana with a DUI. The police do this because they know that in California a simple possession of under 1 ounce of marijuana gets you a ticket in the worst possible case. On the other hand, a marijuana related DUI case will often result in filing of misdemeanor criminal charges and that alone is sometimes the sole desired intimidating and harassing effect from the cops’ point of view, even if the case is ultimately dismissed without a conviction. The harassment of Bill is another example of how deplorable the cops have become. The fact that the DMV is complicit with the police in harassing marijuana users is not surprising. The DMV is also frustrated because they have long and unsuccessfully sought to harass and threaten marijuana users with license suspensions. The DMV has a long history of attempting to make life difficult for those who use marijuana. They are frustrated because the DMV is limited to prosecuting alcohol based DUIs. They do not have the authority to suspend drivers licenses of marijuana and drug users. Bill survived the ordeal but the cop’s scurrilous action in making him jump through hoops to keep his license took its toll and cost in money and time. Bill’s hearing, during which the hearing officer drilled him to elicit an incriminating admission that he was driving while impaired by marijuana, took over two hours. Before you decide to transport any significant amount of cash while traveling through an American airport – think twice. You are risking having the cash seized by airport police, Drug Enforcement Administration (“DEA”) or agents of some other federal agency and subsequently forfeited by the Office of the U.S. Attorneys, regardless whether you are a law-abiding citizen and the cash you are carrying is legitimate. Contrary to a popular misconception, the significant risk of seizures and forfeitures is not limited only to international travellers who are passing through customs. At our law firm, we have handled dozens of asset forfeiture cases stemming from cash seizures on domestic flights at the Los Angeles International (LAX), Long Beach and other Southern California airports. We have also handled numerous cases originating in airports throughout California and many airports in other states. In an all too typical and unfortunately too common a situation, law enforcement will stop and detain you after they have profiled and selected you for detention and possible seizure and asset forfeiture. Your chances of being profiled and interrogated are exponentially higher if you are young or a member of a distinguishable racial or ethnic minority. However, race or skin color is not the only criterion for being selected as a variety of characteristics and behavior can trigger interrogation, detention, seizure and asset forfeiture. For example, the police are known to profile and select individuals who are paying for their tickets with cash or buy only a one-way ticket. While there is no question that specifically profiled individuals get selected for interrogation, detention, seizure and subsequent asset forfeiture, the full scope of methods, surveillance tactics and technologies used by the police are to a great extent a secret. No doubt that in certain situations the police simply scan the arriving passengers visually to select those who fit a particular profile based upon factors such as age, race or clothing. However, the attorneys in this law firm have long suspected that there is more to the story and that the process of profiling for possible cash seizures begins at the departure airport. We suspect that the airport security where a profiled passenger is departing from might be passing on tips, hunches and instructions to the police at the destination airport. We have a strong hunch that it is not uncommon for the airport police to use the so-called StingRay technology which is a police surveillance technology consisting of portable spying devices that are able to track down and monitor cell phone conversations within a certain radius. StingRay devices act as fake cell phone towers that allow the police to gather not only information such as text messages or emails but possibly also to record the contents of phone conversations. It is our attorneys’ strong suspicion that StingRay - which is also known under other trade names such as Triggerfish, IMSI Catcher, Cell-Site Simulator or Digital Analyzer - is being used for cash seizure and asset forfeitures in airport situations. The technology is simply too ideal for spying on and gathering tips and leads pointing to possible possession of significant amounts of cash by unsuspecting and often completely innocent travelers. In a typical situation leading to an asset forfeiture situation, a traveler who has been profiled and selected for detention and search is approached by the police or DEA or some other federal agents as he (or she) collects his luggage from the baggage claim area. The DEA or the police generally get right to the point and ask directly whether the traveller possesses any illegal items or any cash. The surprised traveller most often sees very little choice in this situation and answers truthfully. Regardless of the answer given, however, the traveler is almost inevitably asked to open his bags. If there is cash, the police will detain the passenger and take him for an interrogation in a specially designated interrogation room. The cops are often accompanied by a dog that allegedly alerts the officers to the presence of narcotics in the luggage. As discussed extensively in other sections of this website, dog alerts of this kind can best be described as worthless fraudulent gimmicks designed to bolster the officers’ claim that there was a probable cause for the seizure and subsequent forfeiture. The big unpleasant surprise occurs when, after the investigation during which the detained passenger had provided consistent and reasonable explanations for the presence and source of the cash, the police simply inform him that they will seize and confiscate the money anyway. This is because the interrogation is never designed to help and exonerate the detainee. Rather, the aim of the detention and interrogation is to gather information that could be used against the detainee in order to justify the seizure and subsequent forfeiture of the money. A lack of reasonable suspicion, probable cause or of any information whatsoever suggesting that the cash is even remotely related to any illegal activity will not give the police any second thoughts as to whether the seizure of the money might be lawful or proper. The police will not be deterred because they are solely interested in getting the money and not in the considerations of fairness and justice. They will always seize the money because they will count on the possibility that you might be a drug dealer after all and you will not challenge the seizure and the subsequent asset forfeiture action out of fear of a possible criminal investigation and charges. Alternatively, the cops will bet that they will get the money even if you are innocent because there is a chance that you will mishandle the asset forfeiture process by, for example, failing to respond to the initial asset forfeiture notice in a timely manner or proper form. In the final analysis, it is as unfortunate as it is true that an airline passenger arriving at an American airport might not be able to avoid being interrogated, detained and searched, once profiled for a cash seizure and forfeiture. Airport passengers have very little if anything at all in the way of 4th Amendment rights and protection against searches and seizures. At an airport, the police can open any bags and ask any questions and it is likely a foregone conclusion that once the police find cash it is going to be confiscated. The amount of money is not likely to make a difference in whether the police will seize it. The attorneys at our office have handled asset seizures and forfeitures in as little an amount as $2,500. If your money has been seized and confiscated at an airport or in any other place, it does not mean you are without recourse. Contact an experienced asset forfeiture lawyer right away to discuss your options. It is possible that having an attorney handle your situation early on will result in the asset forfeiture action being entirely dismissed and your money returned in full. An asset forfeiture attorney will send a strong message to the police and the prosecutors that you are ready to fight. Several factors will impact the prosecutors’ decision not to file a civil asset forfeiture action at all and having an experienced attorney on your side is most definitely one of them. When the prosecutors know the attorney and they know him to be knowledgeable, effective and willing to fight they will take it into account. Additional factors that will come into play include the issue of whether the amount of cash is significant and whether there is strong evidence linking the cash to an illegal activity. Prosecutors are less likely to file an asset forfeiture complaint in situations where the cash is $10,000 or less. Criminal Asset Seizures And Forfeitures By Corrupt Texas Police Exposed By Class Action Plaintiffs And Their Attorneys. A Federal District Court in Texas has recently certified as a class action a widely watched federal civil rights lawsuit alleging a widespread corrupt and illegal interdiction program, which has resulted in large sums of money being confiscated by the police and local officials in the City of Tenaha and Shelby County in Texas. The program was supposedly aimed to legitimately confiscate suspected drug money. In reality, Tenaha and Shelby County have engaged in an officially sanctioned highway robbery fleecing innocent motorists - most of whom were minorities - in order to fatten their budgets and private pockets. Regardless of the final outcome, the lawsuit by the asset seizure and forfeiture attorneys has already fully exposed how easily federal and state asset forfeiture and seizure laws breed law enforcement corruption, if not their outright criminality. The lawsuit stems from what appears to be thousands of illegal traffic stops and detentions, mostly along Highway 59, where the police profiled drivers, stopped them without probable cause, alleged unfounded traffic violations and engaged in unlawful vehicle searches in order to ostensibly look for narcotics trafficking. The police would state to the profiled motorists that their dog alerted to drugs and they could smell marijuana. While the dog alerts were completely bogus, and marijuana, narcotics or any other controlled substance or contraband was almost never found, the police would seize and confiscate anything valuable. The police would then threaten the detained drivers with criminal prosecutions for money laundering or other bogus criminal charges. If the drivers resisted, their money or other valuable property such as computers or cell phones were seized. If drivers complied with the apparent blackmail, they would be allowed to go. Some motorists were forced to sign roadside waivers relinquishing their right to challenge the seizures and promising not to come back to the state. This massive long lasting institutionalized scam – consisting of cops setting up “forfeiture traps” and combing the highways for any, and not just dirty, money - was brought to light when some of the motorists lawyered up and hired their own asset forfeiture and seizure defense attorneys. The defendants include a former assistant city Marshall and Shelby County District Attorney who, it is alleged, had spent seized property and money on personal items and causes. Asset seizure and forfeiture laws have been created to deprive criminals of their ill-gotten gains, if the government can prove that the seized cash or property is linked to a crime. If the government wins in arguing its case, or, as is more common, the forfeitures go unchallenged because the affected individuals miss forfeiture deadlines or lack resources to hire an attorney, the authorities get to keep a portion of the confiscated and forfeited assets. In theory, this practice, which often allows law enforcement to keep as much as 80 percent of the money, is designed to help law enforcement fight crime. In reality, while the Texas example might be extreme, it shows the urgency for rethinking and reforming asset forfeiture laws. As it is, seizure and forfeiture laws often end up being no more than a poor excuse for the profit motive, which ends up being more important the crime prevention and control. This problem is compounded, as shown by the Texas case, when there is no transparency accountability or auditing for how the seized money is spent. J. Lentz, March 2012. Civil Asset Seizure and Forfeiture Law: How Seized Assets Alleged to be ‘Dirty Money’ Today Become the ‘Dirty Money’ of Local Law Enforcement Tomorrow. The Civil Asset Forfeiture Reform Act (CAFRA), passed in 2000, was a means of targeting large-scale money laundering empires by attacking them at what was thought to be their heart - the money itself. "Asset forfeiture laws,” President George W. Bush stated, “allow [the government] to take the alleged ill-gotten gains of drug kingpins and use them to put more cops on the streets.” The truth of the matter is that taking away a portion of the profits of criminal networks does not stop or hurt their operations. In fact, most complex crime and drug cartels consider asset forfeitures as a cost of doing business and project their own losses as a result of police stops and busts and adjust accordingly. The reform, with help from the president, turned out to be a vast over generalization of the complexities of asset forfeiture law. This has led to exploitations of its loopholes and future abuses of power by law enforcement. The current day result: exaggerated attention on chasing a fraction of the money, because that small dent in drug kingpins’ wallets has the ability to boost police budgets tenfold. Sadly, many innocent people - who often do not have the financial means to hire an asset seizure and forfeiture attorney to fight police corruption and assert their rights - have also had their assets seized as a result, which leaves much more than a dent in their wallets. The United States Marshals Service and the U.S. Department of Treasury are in charge of maximizing the net return from seized property and then funneling the money to various law enforcement agencies, mostly to the local agencies involved in the seizures through such programs as the euphemistically titled “Equitable Sharing” program. This act of profiting off of forfeited assets, some of them unlawfully seized, is being carried out by our government down to the local level, at times, without any federal oversight. There have been cases where local law enforcement agencies have depended on their uniformed men to be asset mercenaries to boost budgets with little to zero accountability for the blatantly unlawful seizures. Federal audits are minimal and often there are very few, if any, hard rules on how the money from seizures gets used. Recently, NPR ran a four part series called “Dirty Money” looking into "Rivers of Gold," national highways running in and out of Mexico, which have law enforcement agents chasing drug money flowing South. Highway interdiction, consisting of roadside stops and seizures, is turning police officers into mercenaries in local areas bordering Mexico. The series has documented how the police agencies themselves have become privateering enterprises that are depending on forfeitures to not only supplement but, at times, fully fund their operations, regardless of how it may be distorting the justice system. Asset seizure and forfeiture cases are divided into two main categories: criminal and civil. In a criminal asset forfeiture case, the burden of proof is on the government, which seeks to seize and forfeit an asset as part of the criminal prosecution against the owner. 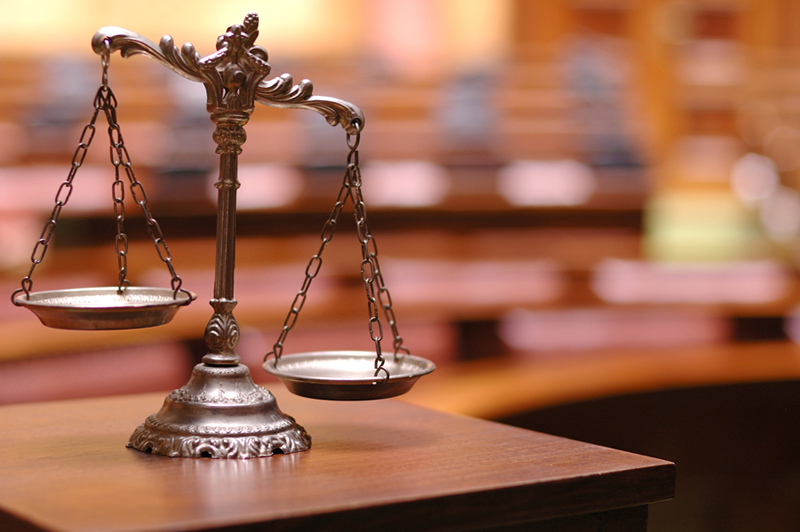 In criminal cases, the criminal justice system and the U.S. Constitution provides certain substantive and procedural protections to criminal defendants. On the other hand, in a civil asset forfeiture case the government is suing you, or your property, regardless of whether or not a complaint has been issued against you personally. There has been an increasing trend towards civil asset seizure and forfeiture cases in America because they entail greatly reduced standards for conviction and thus make it easier for the government to seize and forfeit property. Also, unless the case is pursued and won by the owner, by hiring an attorney at his or her own expense, the government's use of the money from the seizure of the asset itself goes relatively unchecked and is used to supplement and sometimes fully fund local police operations. A. Toran, April 2012. Medical Marijuana Labs Under a Microscope And Effectively Criminalized Still: How Effective Are Medicinal Marijuana Laboratories In Bringing About New Reform And Benefiting Collectives And Cooperatives, Not To Mention Medical Marijuana Patients? The medical marijuana Los Angeles ordinance recently passed requiring medicinal marijuana to be tested at independent and certified labs before the drug can be distributed by collectives and cooperatives to patients and primary caregivers for medical uses. This comes after a recent spike in drug enforcement raids along with claims by the Los Angeles Police Department (LAPD), and the Office of the Los Angeles City Attorney, that marijuana contains contaminants and is an unregulated, illicit drug that should remain criminalized. While it is fair to say that the ordinance generally received approval from the medical marijuana community and, especially, collectives and cooperatives operating as retail style storefront dispensaries, it is a fair question to ask whether the ordinance advances the decriminalization of and safe access to good quality medical marijuana? Or does it further muddle the debate and the web of vague, contradictory and often bewildering laws that hinder the natural progression of cannabis law reform that is working to protect patients and providers of medical cannabis? One of the features of the ordinance is the provision for independent testing labs that are well-staffed, fully functional and using top of the line testing equipment. This pedigree of labs are on the front line of the development of marijuana into a medicinal drug used for treating ailments ranging from arthritis to post-traumatic stress disorder. They test for strains of weed high in THC content, which is always in high demand from collectives and cooperatives, but have also recently helped in identifying strains higher in cannabidiol, or CBD content. The compound is not the cause of a medical marijuana patient feeling stoned, but leads to marijuana’s pain relieving effects. Labs are also supposed to test for pesticides and harmful additives to the bud of a given specimen of marijuana, so as to better inform patients on the choices they make, just as pharmaceuticals list all the ingredients that go into their products. All in all, even though they are greatly hindered from accomplishing their legitimate role, labs are empowering patients and dispensaries. Despite a recent negative if not rather disparaging treatment by the Los Angeles Times, the labs are contributing to the growing legitimacy and integrity of the medical marijuana movement and community. The LA ordinance requiring lab tests on medicinal marijuana is seen as a quid pro quo by many, an exchange between patient/dispensary quality concerns and legalization –possibly a step in the right direction. However, the inadequacy of this new Los Angeles marijuana law, leads the medicinal marijuana debate back to square one. For one, the labs testing for THC and pesticide content technically remain illegal under California state law, not to mention federal law, as they do not fall under the umbrella of "collectives" or "cooperatives" protected by the California Health & Safety Code. The long and short of it is that the labs are therefore in possession of marijuana illegally and can be raided or prosecuted at any time as the ordinance does nothing to regulate and protect them. The labs and their staff can potentially engage in a variety of different gimmicks, such as making themselves individual members of all the collectives and cooperatives for which they test marijuana, but such measures border on farce and are unlikely to bring peace mind and real legal protection to the lab personnel. The vagueness and ambiguity of the new ordinance – and of the grander marijuana reform landscape – paired with contradicting local, state and federal laws, make for an absurd situation. The treatment and the status of the medical marijuana labs are yet another example of how the confusing intersections of legislation and law enforcement practices are detaining the marijuana legalization debate in a tiny interrogation cell, with the walls slowly closing in. LAPD Commission Passes New Vehicle Impoundment Plan As an Act of “Compassion:” New Rules Applying To Unlicensed Drivers In Los Angeles County Show Sympathy Towards Illegal Immigrants And Are Hailed By Defense Attorneys And Others. Last week the Los Angeles Police Commission approved a new set of rules that limited the number of vehicles driven by unlicensed drivers to be impounded as an act of “compassion” and “humanity” towards the illegal immigrant population. Under the controversial plan unlicensed drivers who have auto insurance, valid identification and no priors will be able to immediately collect their car from impound as long as they are registered owners of the vehicle and show up with a licensed driver. The Los Angeles Police Department (LAPD) officers will also waive impoundment altogether if one of the passengers is a licensed driver or one can arrive on the scene immediately. The new measures will go into effect immediately after all officers are informed and trained on the matter. It is widely presumed that illegal immigrants make up the bulk of people driving in California without valid licenses. They are residents in the country illegally and cannot receive driver’s licenses but make up a large percentage of the labor force. When they are pulled over for any traffic infraction, no matter how minor the violation, their cars are impounded and held for 30 days. During the month they incur incredibly high impound fees, which many illegal immigrants cannot pay. The fines, coupled with the looming fear of law enforcement and deportation, leaves many law-abiding, undocumented individuals without a car, and with a strong disdain for the Los Angeles Police Department. The plan is a victory for immigration-rights advocates and for LAPD Chief Charlie Beck. The Police Chief, met with sharp criticism from the LA County District Attorney and fellow law enforcement officials, acted on behalf of both the city’s large illegal immigrant population and his department which, for decades, has struggled to convince undocumented aliens that LAPD and other local law enforcement is not their enemy. The enforcement of the state impoundment statute, under California Vehicle Code §14602.5, has long been criticized not only by the immigrant community but also by a significant number of the local Los Angeles criminal defense and other attorneys. The legal community has long pointed out that the practice of impounding vehicles by individuals whose only offense consists of being prevented from obtaining a valid driver license resulted in cruel financial consequences, often harsher than those inflicted upon drivers driving under the influence of alcohol and drugs. Because of the high impound fees, which frequently exceed the value of the seized vehicles and/or the ability to pay, the vehicles often end up being forfeited resulting in a windfall to law enforcement who get to auction them off and collect the proceeds. This practice has left many individuals defenseless, as hiring a defense attorney generally is uneconomical. The sympathetic plan is applauded for dealing practically and respectfully with the undeniable truth that many of the hundreds of thousands of undocumented immigrants residing in Los Angeles County are currently driving without valid licenses. In spite of backing from many camps and the commission’s 4-1 vote in favor, the plan did not go down smoothly with critics against granting rights to illegal immigrant and the Police union in charge of representing rank-and-file officers. The Los Angeles Police Protective League expressed sharp opposition to the measures. Tyler Izen, the union president, accused Beck and the LAPD of trading off road safety for “political correctness.” Critics also included District Attorney Steve Cooley, who called the legality of the plan into question. Despite last-minute delay tactics from an unnamed nonpartisan state agency and pressure from state attorneys, Deputy City Attorney Heather Aubry assured the commission that state law allowed police officers to decide for themselves whether or not to use the new more lenient approach to car impounding. This is a correct decision and interpretation of the law as the statute has always explicitly allowed law enforcement to exercise discretion. The new rules put an end to what could be fairly be described as unethical, albeit legal, seizures and confiscation of property by the police and the state. A. Toran, March 1, 2012. § 14602.6. Driving without a license, while privilege suspended or revoked, or while privilege is restricted and vehicle is not equipped with interlock device; arrest; seizure and impoundment of vehicle; notice to owner; storage hearing; release of vehicle; liability of law enforcement agency and impounding agency. (a)(1) Whenever a peace officer determines that a person was driving a vehicle while his or her driving privilege was suspended or revoked, driving a vehicle while his or her driving privilege is restricted pursuant to Section 13352 or 23575 and the vehicle is not equipped with a functioning, certified interlock device, or driving a vehicle without ever having been issued a driver's license, the peace officer may either immediately arrest that person and cause the removal and seizure of that vehicle or, if the vehicle is involved in a traffic collision, cause the removal and seizure of the vehicle without the necessity of arresting the person in accordance with Chapter 10 (commencing with Section 22650) of Division 11. A vehicle so impounded shall be impounded for 30 days. (2) The impounding agency, within two working days of impoundment, shall send a notice by certified mail, return receipt requested, to the legal owner of the vehicle, at the address obtained from the department, informing the owner that the vehicle has been impounded. Failure to notify the legal owner within two working days shall prohibit the impounding agency from charging for more than 15 days' impoundment when the legal owner redeems the impounded vehicle. The impounding agency shall maintain a published telephone number that provides information 24 hours a day regarding the impoundment of vehicles and the rights of a registered owner to request a hearing. The law enforcement agency shall be open to issue a release to the registered owner or legal owner, or the agent of either, whenever the agency is open to serve the public for regular, nonemergency business. (b) The registered and legal owner of a vehicle that is removed and seized under subdivision (a) or their agents shall be provided the opportunity for a storage hearing to determine the validity of, or consider any mitigating circumstances attendant to, the storage, in accordance with Section 22852. (c) Any period in which a vehicle is subjected to storage under this section shall be included as part of the period of impoundment ordered by the court under subdivision (a) of Section 14602.5. (A) When the vehicle is a stolen vehicle. (B) When the vehicle is subject to bailment and is driven by an unlicensed employee of a business establishment, including a parking service or repair garage. (C) When the license of the driver was suspended or revoked for an offense other than those included in Article 2 (commencing with Section 13200) of Chapter 2 of Division 6 or Article 3 (commencing with Section 13350) of Chapter 2 of Division 6. (D) When the vehicle was seized under this section for an offense that does not authorize the seizure of the vehicle. (E) When the driver reinstates his or her driver's license or acquires a driver's license and proper insurance. (2) No vehicle shall be released pursuant to this subdivision without presentation of the registered owner's or agent's currently valid driver's license to operate the vehicle and proof of current vehicle registration, or upon order of a court. (e) The registered owner or his or her agent is responsible for all towing and storage charges related to the impoundment, and any administrative charges authorized under Section 22850.5. (1) The legal owner is a motor vehicle dealer, bank, credit union, acceptance corporation, or other licensed financial institution legally operating in this state or is another person, not the registered owner, holding a security interest in the vehicle. (2)(A) The legal owner or the legal owner's agent pays all towing and storage fees related to the seizure of the vehicle. No lien sale processing fees shall be charged to the legal owner who redeems the vehicle prior to the 15th day of impoundment. Neither the impounding authority nor any person having possession of the vehicle shall collect from the legal owner of the type specified in paragraph (1), or the legal owner's agent any administrative charges imposed pursuant to Section 22850.5 unless the legal owner voluntarily requested a poststorage hearing. (B) A person operating or in charge of a storage facility where vehicles are stored pursuant to this section shall accept a valid bank credit card or cash for payment of towing, storage, and related fees by a legal or registered owner or the owner's agent claiming the vehicle. A credit card shall be in the name of the person presenting the card. “Credit card” means “credit card” as defined in subdivision (a) of Section 1747.02 of the Civil Code, except, for the purposes of this section, credit card does not include a credit card issued by a retail seller. (C) A person operating or in charge of a storage facility described in subparagraph (B) who violates subparagraph (B) shall be civilly liable to the owner of the vehicle or to the person who tendered the fees for four times the amount of the towing, storage, and related fees, but not to exceed five hundred dollars ($500). (D) A person operating or in charge of a storage facility described in subparagraph (B) shall have sufficient funds on the premises of the primary storage facility during normal business hours to accommodate, and make change in, a reasonable monetary transaction. (E) Credit charges for towing and storage services shall comply with Section 1748.1 of the Civil Code. Law enforcement agencies may include the costs of providing for payment by credit when making agreements with towing companies on rates. (3) The legal owner or the legal owner's agent presents a copy of the assignment, as defined in subdivision (b) of Section 7500.1 of the Business and Professions Code; a release from the one responsible governmental agency, only if required by the agency; a government-issued photographic identification card; and any one of the following, as determined by the legal owner or the legal owner's agent: a certificate of repossession for the vehicle, a security agreement for the vehicle, or title, whether paper or electronic, showing proof of legal ownership for the vehicle. Any documents presented may be originals, photocopies, or facsimile copies, or may be transmitted electronically. The law enforcement agency, impounding agency, or any other governmental agency, or any person acting on behalf of those agencies, shall not require any documents to be notarized. The law enforcement agency, impounding agency, or any person acting on behalf of those agencies may require the agent of the legal owner to produce a photocopy or facsimile copy of its repossession agency license or registration issued pursuant to Chapter 11 (commencing with Section 7500) of Division 3 of the Business and Professions Code, or to demonstrate, to the satisfaction of the law enforcement agency, impounding agency, or any person acting on behalf of those agencies, that the agent is exempt from licensure pursuant to Section 7500.2 or 7500.3 of the Business and Professions Code. No administrative costs authorized under subdivision (a) of Section 22850.5 shall be charged to the legal owner of the type specified in paragraph (1), who redeems the vehicle unless the legal owner voluntarily requests a poststorage hearing. No city, county, city and county, or state agency shall require a legal owner or a legal owner's agent to request a poststorage hearing as a requirement for release of the vehicle to the legal owner or the legal owner's agent. The law enforcement agency, impounding agency, or other governmental agency, or any person acting on behalf of those agencies, shall not require any documents other than those specified in this paragraph. The law enforcement agency, impounding agency, or other governmental agency, or any person acting on behalf of those agencies, shall not require any documents to be notarized. The legal owner or the legal owner's agent shall be given a copy of any documents he or she is required to sign, except for a vehicle evidentiary hold logbook. The law enforcement agency, impounding agency, or any person acting on behalf of those agencies, or any person in possession of the vehicle, may photocopy and retain the copies of any documents presented by the legal owner or legal owner's agent. (4) A failure by a storage facility to comply with any applicable conditions set forth in this subdivision shall not affect the right of the legal owner or the legal owner's agent to retrieve the vehicle, provided all conditions required of the legal owner or legal owner's agent under this subdivision are satisfied. (g)(1) A legal owner or the legal owner's agent that obtains release of the vehicle pursuant to subdivision (f) shall not release the vehicle to the registered owner of the vehicle, or the person who was listed as the registered owner when the vehicle was impounded, or any agents of the registered owner, unless the registered owner is a rental car agency, until after the termination of the 30-day impoundment period. (2) The legal owner or the legal owner's agent shall not relinquish the vehicle to the registered owner or the person who was listed as the registered owner when the vehicle was impounded until the registered owner or that owner's agent presents his or her valid driver's license or valid temporary driver's license to the legal owner or the legal owner's agent. The legal owner or the legal owner's agent or the person in possession of the vehicle shall make every reasonable effort to ensure that the license presented is valid and possession of the vehicle will not be given to the driver who was involved in the original impoundment proceeding until the expiration of the impoundment period. (3) Prior to relinquishing the vehicle, the legal owner may require the registered owner to pay all towing and storage charges related to the impoundment and any administrative charges authorized under Section 22850.5 that were incurred by the legal owner in connection with obtaining custody of the vehicle. (4) Any legal owner who knowingly releases or causes the release of a vehicle to a registered owner or the person in possession of the vehicle at the time of the impoundment or any agent of the registered owner in violation of this subdivision shall be guilty of a misdemeanor and subject to a fine in the amount of two thousand dollars ($2,000) in addition to any other penalties established by law. (5) The legal owner, registered owner, or person in possession of the vehicle shall not change or attempt to change the name of the legal owner or the registered owner on the records of the department until the vehicle is released from the impoundment. (h)(1) A vehicle removed and seized under subdivision (a) shall be released to a rental car agency prior to the end of 30 days' impoundment if the agency is either the legal owner or registered owner of the vehicle and the agency pays all towing and storage fees related to the seizure of the vehicle. (2) The owner of a rental vehicle that was seized under this section may continue to rent the vehicle upon recovery of the vehicle. However, the rental car agency may not rent another vehicle to the driver of the vehicle that was seized until 30 days after the date that the vehicle was seized. (3) The rental car agency may require the person to whom the vehicle was rented to pay all towing and storage charges related to the impoundment and any administrative charges authorized under Section 22850.5 that were incurred by the rental car agency in connection with obtaining custody of the vehicle. (i) Notwithstanding any other provision of this section, the registered owner and not the legal owner shall remain responsible for any towing and storage charges related to the impoundment, any administrative charges authorized under Section 22850.5, and any parking fines, penalties, and administrative fees incurred by the registered owner. (j) The law enforcement agency and the impounding agency, including any storage facility acting on behalf of the law enforcement agency or impounding agency, shall comply with this section and shall not be liable to the registered owner for the improper release of the vehicle to the legal owner or the legal owner's agent provided the release complies with the provisions of this section. The legal owner shall indemnify and hold harmless a storage facility from any claims arising out of the release of the vehicle to the legal owner or the legal owner's agent and from any damage to the vehicle after its release, including the reasonable costs associated with defending any such claims. A law enforcement agency shall not refuse to issue a release to a legal owner or the agent of a legal owner on the grounds that it previously issued a release. After stalling for more than a year, The LA County Board of Supervisors agreed to begin issuing state-mandated identification cards to medical marijuana users. The IDs are available beginning today, June 1, 2007, and you can get the application for the ID card from the Department of Public Health. The Los Angeles County Board of Supervisors agreed to begin issuing state-mandated identification cards to medical marijuana users. If you live in Los Angeles County, you can obtain an ID card by submitting an application to the Department of Pubic Health. You will need to present a written recommendation from a doctor to along with the application fee, which is $153, or $76.50 if you receive Medi-Cal. The first day the ID card is available is today, June 1, 2007. An aspect of the war on medical marijuana, perhaps its most barbaric and savage – I am not using the adjectives here lightly, I do honestly think they are appropriate – are child endangerment charges which can be part and parcel of prosecutions for cultivating marijuana. Worse yet – for no clear purpose benefiting them--your kids can be taken from you and your spouse. I call it child abuse. Take the case of Ronald Naulls and his family for example. Ronald - a church-going family man who sustained serious injuries in a 2001 car accident and used medical marijuana to ease chronic pain – established the Healing Nations Collective in Corona, Riverside County. By all accounts, Healing Nations was a model professional medical marijuana collective in full compliance with state law and contributing significant sums to various local and and national cancer organizations. Regardless, the dispensary and Ronald’s home were raided by the DEA on July 17, 2007. Never mind the gratuitous show of intimidating force – the DEA shotguns, automatic rifles and even helicopters. Never mind the fact that everything, and I mean (almost) EVERYTHING, was seized from the collective and Ronald’s home. Get this - among the items confiscated were Ronald’s three little girls ages 1, 3, 5. They were taken by the County Child Protective Services to a confidential foster home. It is not necessary to stretch one's imagination to immediately know the serious trauma inflicted upon the girls. In addition, Ronald's wife and the girls' mother is facing child endangerment charges. This is child abuse pure and simple - by the Child Protective Services, not the Naulls of course. When the parents were finally allowed to visit their children the eldest of the three girls has reportedly said, "Mommy, we're ready to come home now, we promise to be good." Imagine the anguish on the part of the girls, not to mention their parents. While the absurdity and notoriety of the Naulls family story stands out, it is by no means unique. There is definitely something special about Riverside County where the law enforcement and social services do not seem to hesitate to engage in a war on families and their children in conjunction with war on marijuana plants. I have personally represented two families in Riverside County in cases where child endangerment charges were gratuitously added to charges of illegal marijuana cultivation. In one of them a small child was taken away because there were about 5 small marijuana plants growing in the backyard, allegedly in close proximity to a children’s swing. Both situations involved green fresh plants growing in the backyard or a garage and no evidence that marijuana was smoked or burned when children were present. The point here is that the idea that raw marijuana plants present any child endangerment risk is pure mediaval superstition and ignorance. Everyone knows (or should know) that marijuana releases no toxic materials unless heated or burned. There have been studies showing that potatoes are more toxic than marijuana. The criminal child endangerment charges, in the Naulls family and similar cases, should eventually be dismissed, assuming the case is handled by a good attorney and there are no special aggravating facts. Also, Riverside County does have a number of honorable prosecutors who understand that their job is to do justice and get it that the harm and injustice has been done. However, the trauma and the emotional and financial toll on the families and children often can not be undone. Donations to help the Naulls family can be made through the Green Aid organization at http://www.green-aid.com/defensefunds.htm. Additional information can be obtained from James Anthony, the attorney who is pearheading the fundrasiing efforts, at www.mcdlawyer.com. HOW MUCH MARIJUANA IS FOR PERSONAL USE? According to a July 5th Associated Press article, the legislature in Washington State is about to tackle one of the recurring questions regarding the use of medical marijuana--how much of it is necessary for personal use? Washington State passed its medical marijuana law in 1998, shortly after California passed its law. Washington's law permits patients to have a sixty-day supply of marijuana. But unlike other states that define how much marijuana a patient may keep or grow, neither the legislature nor the courts in Washington have set such limits. Law enforcement is now pushing the legislature to set a specific limit. Presumably anyone having more than the allowable limit could be sentenced for possession with an intent to distribute-- a charge that often involves lengthy potential jail time. And as with so much of the discussion of medical marijuana, politics and ignorance tend to trump science and a patient's well being. When one county in Washington State was asked how many plants a medical marijuana patient could grow, it responded by saying zero. One medical study cited in the Associated Press article suggests that a reasonable two-month supply might range from 3/4 of a pound to 2 1/2 pounds. The range is quite large because different kinds of marijuana have different levels of potency, the same kind of marijuana impacts different patients differently, and patients need different amounts of marijuana depending on how their pain and other symptoms vary over time. In light of thse variables, it would be wiser and more humane to leave the determination of how much marijuana a person needs largely in the hands of patients and their doctors. But in today's political climate, that is unlikely to happen. Lawyers in Washington State have already threatened to challenge any statute that sets limits that are inconsistent with the medical and scientific evidence regarding marijuana. It would be better if we didn't have to resort to such efforts to permit patients to get relief from pain and address their other symptoms. For the foreseeable future, however, lawsuits will continue to be an indispensable tool for protecting patients. Regarding Kiefer Sutherland’s recent and fairly quick no contest plea to driving with a blood alcohol content of 0.08 percent or more – Sutherland and his lawyer Blair Berk did it right. The DUI charges, which the star of popular show "24" faces, most definitely called for a quick assumption of responsibility and expression of contrition and remorse. Sutherland's "alter ego" - the heroic counter-terrorist agent Jack Bauer - no doubt would have come out with his guns blazing. Different outcome here as Sutherland was definitely better off by being smart rather than tough. In a recently released statement shortly following his arrest, Sutherland publicly apologized for his poor judgment. He showed character to the world and, perhaps more importantly, to the court. This was not the case for Sutherland and his lawyer to be cowboys and vigorously fight the case regardless of the merits of the DUI charges against him or the availability of legal defenses if any there were. Criminal defense lawyers, often in a self-serving fashion, sometimes are tempted to turn up the ante (and publicity) when a celebrity case is involved. Berk did not fall into this trap because she knew better. Assume for a second that Sutherland had a viable case. Let’s say he had a meritorious argument that he was below the legal limit of 0.08 percent of blood alcohol at the time of driving. Perhaps the cops messed up the blood alcohol test procedurally and there was a way to throw it out of court. In another possible scenario, perhaps Sutherland's stop, detention and subsequent arrest were illegal. In short, assume Sutherland had a case he could have taken to a jury trial and won because he had good facts, good lawyer and his celebrity status on his side. Bottom line here – absolutely none of it would have mattered -- and defiance and legal heroics would have most inevitably backfired. Striking a quick plea agreement with the city attorneys and showing unequivocal repentance was the right call no doubt. Why? Because Sutherland was facing probation violation. Sutherland was still on probation from his DUI conviction in 2004. This means that he was not supposed to drive with any measurable amount of alcohol. One drink in his system would have been sufficient for a violation. He was also required to disclose the fact of his probation to police and submit to an alcohol test. Small chance of a successful legal challenge based on illegal search and seizure here. Moreover, Sutherland would have had to fight probation violation accusation not in front of a jury of his peers (where his celebrity status might have been an asset), but in a hearing decided by a judge in whose eyes his fame most likely would have been a liability. In a probation violation the judge calls the facts as he or she sees them based upon a significantly lower evidentiary standard (preponderance of evidence) than proof beyond reasonable doubt. If found in violation, Sutherland would have been re-sentenced on the 2004 case and faced up to 6 months in county jail even if he had beaten the present case. In probation violation situations, the judge does pretty much what he/she wants and Sutherland was a lame duck. Judges and prosecution like acceptance of responsibility, remorse and contrition, especially when such expressions are quick and sincere or at least come across as such. This is arguably among the best and most humane features of our criminal justice systems - the fact that when a criminal defendant behaves right after the fact of crime it matters and often it works (well – ok – it works sometimes). Often, the best and only thing a lame duck can do - even if one's name is Kiefer Sutherland, Jack Bauer or some other star or superman - is to admit the charge or violation, accept responsibility and convince the prosecution and the judge that the duck has learned his lesson, is remorseful and in the future will do better. As a result Sutherland got a good deal - better than standard in similar situations, in my humble view, given his probation status, the fact that this is his second DUI in less than 10 years and that he has faced DUI related charges total of 4 times already. The plea bargain of 48 days in county jail, with the flexibility of serving his sentence so as not to interfere with the shooting of the "24" show, is a very good result indeed. Moreover, the quick and relatively quiet resolution might serve to keep this case low key, which could allow Sutherland to serve his sentence on electronic monitoring on house arrest and/or obtain early release. For contrast, look no further than the Paris Hilton case. In a much easier probation violation case Hilton made a mess of it by initially fighting the charges which inexorably lead to a media circus drama. As a result, three things happened: (1) the judge was pissed, (2) the judge was pissed and (3) the judge was pissed. In probation violations all that matters is whether the judge is pissed and the fact that judges are political creatures. The media frenzy surrounding the Hilton case made it impossible for the judge to give her any break even if he had wanted to because when put under the microscope of public scrutiny judges feel they absolutely must dish out tough sentences, especially to spoiled and unrepentant celebrities. Hilton did not get a good sentencing result notwithstanding the fine and valiant effort by her last attorney Richard Hutton. She should have gotten electronic house arrest and early release which are standard for non-violent misdemeanor convictions in Los Angeles County. Sutherland and his lawyer seem to understand that in certain situations the best a celebrity can hope for is to be treated like every one else. Sutherland is shooting for a standard deal - perhaps somewhat better.